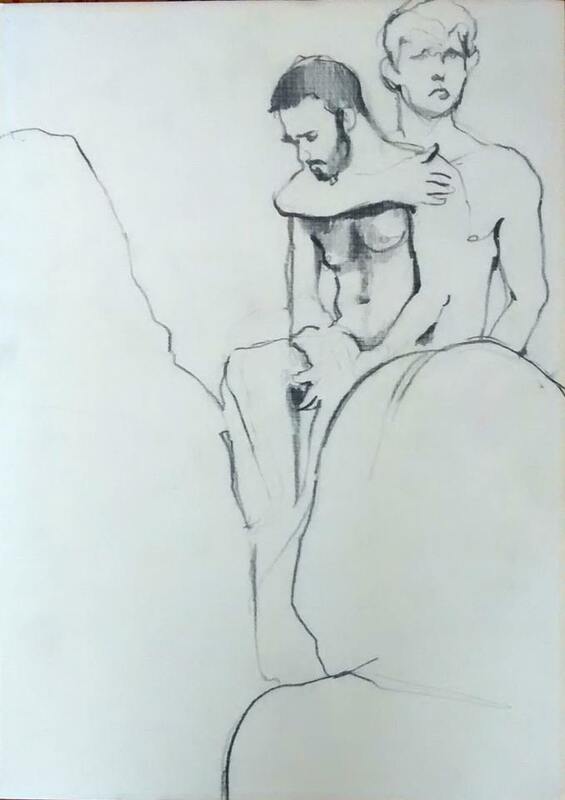 I had been sitting as a naked model for drawing in the middle of the museum gallery (MAM SP, sala Paulo Figueiredo) on a wooden podium for 5 hours, on Saturday, April 9, 2016. 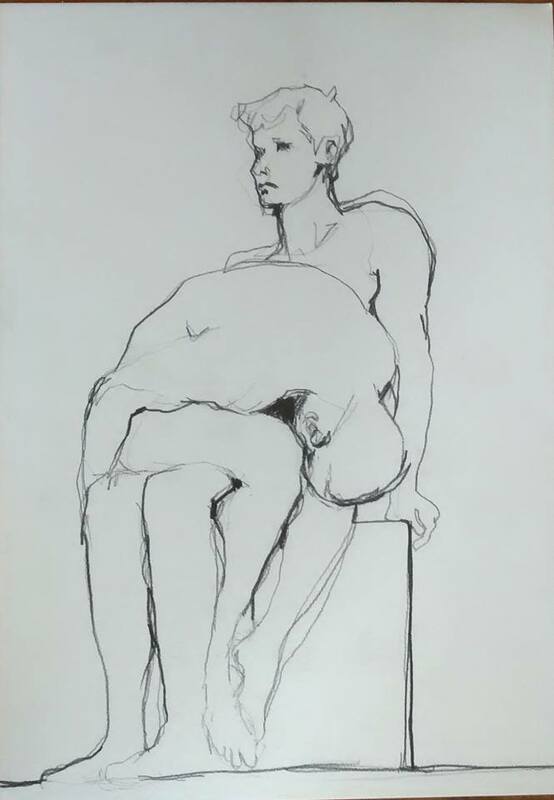 Anyone was invited to join with a blank paper and a charcoal to draw me for the duration of 15 minutes - while sitting on one of the chairs around me and making an instant portrait of myself. The museum team encouraged the visitors and guests to join me for sitting. For that, they just needed to take off all their clothes and sit on my lap for the entire duration of the session (15 min) - from its start through its completion. This way I was posing alone at times and was posing as a couple being joined by random volunteers - once they appeared. Every 15 minutes the bell was ringing, and the painters had to move to the next chair, direction clockwise - in case they preferred to continue and had another try. Once done, they had to pass their work to the museum team so it would become an element of the 'communal drawing' which then was remained on view as a part of the exhibition 'Educação como matéria-prima' until June 2016 at MAM SP. That work held the authorship of all the painters that took an attempt to draw me naked with the void as a background.